At Slater & Zurz LLP our attorneys have decades of experience in successfully handling claims of dog bite victims either through negotiations with the dog owner’s insurance company or litigation. Our attorneys are well-acquainted with Ohio statutes enacted to ensure the rights of dog bite victims and know that acting quickly following a dog attack is vital to protecting these rights. An immediate investigation can help establish liability for the bite and determine whether insurance coverage applies. Whether an unleashed, stray dog has savagely attacked your nine-year-old while he was walking home from school or dogs attacked you in a park and you wound up hospitalized for your injuries, Slater & Zurz LLP dog bite attorneys can protect your rights and work on getting you the best result available. 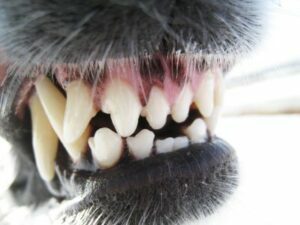 Dog bites and mauling are among some of the most dangerous and traumatic injuries that the average American can sustain. Although fatal dog bites are less common, small children are statistically more likely to be bitten and disfigured or killed. Even a fit adult can experience long-term muscle and nerve damage and possible lifelong psychological stress. More than 4.5 million people each year in the U.S. are treated for dog injuries, according to the Center for Disease Control and Prevention (CDC). One in five dog injuries require medical attention and about 33 people die every year from a dog attack. Forty eight percent of the fatalities are children under 9 years of age and 18% of victims are over 70. These figures on fatalities come from dogsbite.org, a website that maintains nationwide statistics on dog attacks. The site’s authors claim that in the 13 years from 2005 to 2017, 433 Americans have died from dog attacks and it has the stories to support its claims. More than 61% of dog attacks occur at home or in a familiar place, and more than half on the owner’s property, according to safetyarounddogs.com. The CDC reports that as the number of dogs in a home increases, the number of incidents goes up and dogs that are not spayed or neutered are more likely to bite. In Ohio, there are different methods for determining responsibility in a dog attack. One can make a claim under “strict liability” statutes or “rules of common negligence,” or both. If you or a loved one is injured by a dog anywhere in Ohio (you don’t have to be bitten), the dog’s owner, or person in charge of the dog at the time, will be responsible for the injuries whether or not they did anything wrong and whether or not the dog has bitten someone before. You only have to prove the dog caused you damages when it attacked you, bit you, or knocked you down–UNLESS it can be shown the dog was teased or tormented, or the victim was not lawfully on the property where the incident occurred. The victim of a dog attack can also bring a common law action for injuries based on negligence. In this claim it must be shown that the dog was not properly controlled or restricted, or that others were not warned of special circumstances about the dog (for example, it had been designated “vicious” or “dangerous”), or the person in charge of the dog failed to take any other action a court would likely find negligent. Although no particular breed of dog is automatically labeled “dangerous” or “vicious” in Ohio—some communities do have bans on certain breeds and insurance companies may also have a list of types of dogs they do no not insure. The owners of dogs found dangerous or vicious are mandated to have certain types of insurance, means of properly controlling the animals and signs warning of their presence. There are risks of disease associated with being bitten by a dog, especially a dog who has not been vaccinated for rabies. Rabies, often heard of, but not often occurring in the United States. This a virus that spreads to the brain and is most often fatal after symptoms occur. Although rare, it is still considered a risk. Tetanus a toxin produced by a type of bacteria called Clostridium tetani. This can cause paralysis in non-vaccinated humans, especially if a bite is deep. It is a good idea to be aware of when you had your last tetanus shot. Pasteurella found in more than half of infected dog bite wounds, this bacteria causes pain, redness and swelling at the site of the bite. It may also cause swelling in the joints, difficulty moving and swollen glands. People who have weakened immune systems can experience more serious effects. MRSA (methicillin-resistant Staphylococcus aureus), a staph infection resistant to certain antibiotics. Dogs can carry the bacteria without showing symptoms but it can result in skin, lung and urinary infections in people. MRSA can also spread to the lungs or bloodstream and cause life-threatening illnesses. Capnocytophaga bacteria these bacteria live in the mouths of dogs, cats and people but do not make the animals sick. The bacteria can spread through bites, scratches or close contact between animals and humans but this is rare unless the human has a weakened immune system. –First of all, be sure to get immediate treatment. If wounds are minor, wash with soap and water, apply antibiotic cream and a bandage. For deeper wounds, apply pressure to stop the bleeding and get to emergency medical services as soon as possible. Watch for signs of infection including redness, swelling or developing a fever. If you have any doubts, seek help. –If possible, photograph your injuries, the attack site, clothing worn and the offending dog. –Exchange personal information with attack witnesses and the dog’s owner, if available, getting names, addresses and contact information. –Keep a diary of events related to the attack and a record and receipts of any medical treatment that occurred. –Contact a dog bite attorney. You can call 1-888-534-4850 to reach Slater & Zurz LLP and get your claim started right away with a FREE consultation. The experienced dog bite lawyers at this firm will handle all telephone calls, correspondence and negotiations with insurance companies on your behalf. If necessary, they will find healthcare providers to treat your injuries. There is never a fee to you unless you are awarded a settlement for your case. A “statute of limitations” is another way of saying how much time is available to file a lawsuit after a dog bite incident. If your claim is not filed within a specific timeframe, you will not be able to file it in the future. The statute of limitations for a strict liability dog bite injury in Ohio is six years for adults. A minor’s six years begins on his or her 18th birthday as it is possible it will take until a child is grown to see the full extent of the damage that has been done. Six years sounds like a lot of time but it is important not to delay. Extensive documentation may be needed for your case. Witnesses may have to be contacted and the dog and its owner may have to be found. This could take considerable time. If you have life-altering wounds that will mean you or your loved one has permanent scarring or life-long disabilities, recovering a substantial insurance settlement will be of prime importance. To sue under a negligence theory, if the victim is an adult, you must sue within two years of the date the dog injured you. For a child the statute of limitations is extended to two years after they reach 18 years of age. At Slater & Zurz LLP the dog bite attorneys have been through many battles for their victims and understand the urgency of these cases. They work aggressively to recover maximum compensation in the shortest timeframe possible. There are so many things you need to know after a dog attack and they will help you discover the information required for your dog bite case. Don’t hesitate to call the law firm today at 1-888-534-4850 or contact them here. Ohio ranks third nationally in dog bite claims, according to cincinnati.com. Average settlement cost of a claim is about $36,000.